Vistors want go to a toilet (after some time). You can build a toilet, doors and rooms. 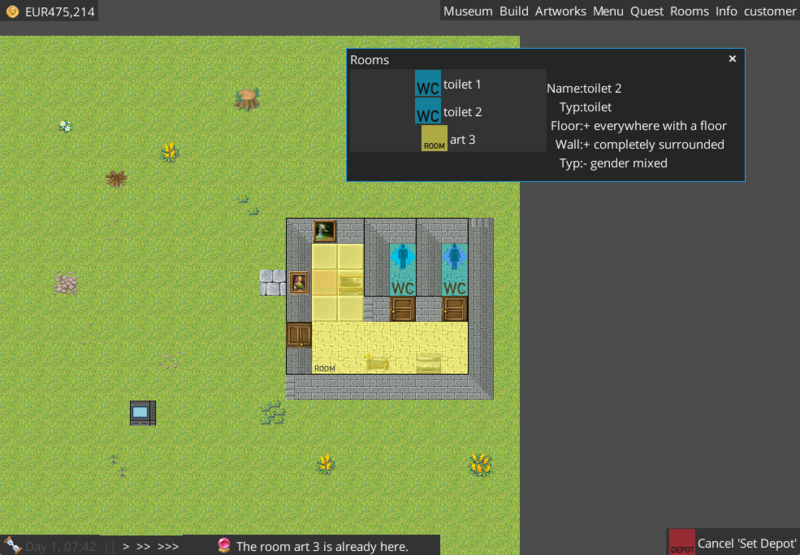 Rooms a new system to add boni or malus to your museum. For example: If you create a art room with simlar art, you get a boni. Display of a wall & changed the build menu a little.